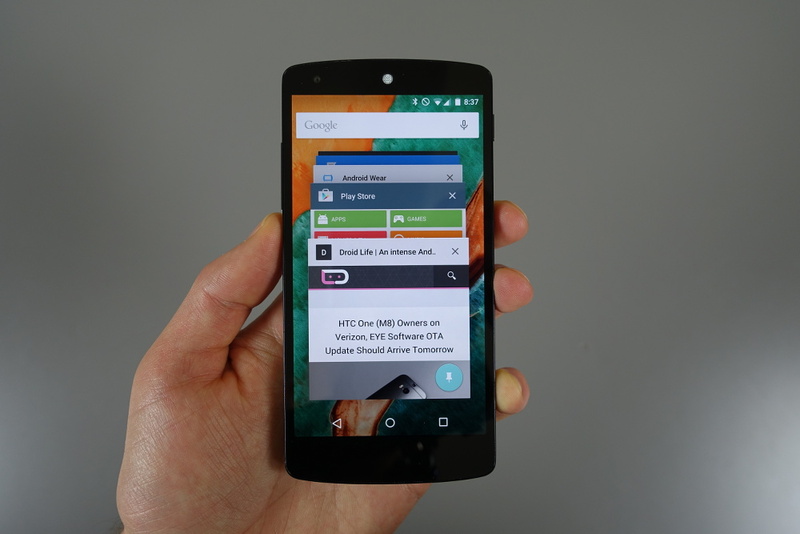 When you first boot a device running Android 5.0 “Lollipop” and open Chrome Beta, a pop-up will introduce you to the idea that your Chrome Beta tabs will now be a part of the app switcher UI. That might sound cool on the surface, but unfortunately, the implementation isn’t great yet. Thankfully, you can easily turn this feature on or off until Google (hopefully) adds back some of the functionality that goes missing with this option turned on. Let’s talk about how this all works. With Chrome Beta as a part of the app switcher, you get individual cards in the app switcher that represent each tab you have open at the moment. If you tap the app switcher button, you can then choose specific tabs to open, which is useful if you happen to be in another app before deciding that you now want to jump back into a specific Chrome tab. That’s about the only reason I can see this being useful, though. I’ll try to explain what I mean. With Chrome Beta merged into the app switcher, Google (for whatever reason that I cannot figure out) has taken away the tab button with open tab count that sits at the top of the app, up next to the menu. They also killed off the swiping gesture at the top of the app that lets you jump between currently opened tabs. These are two of the most useful items in Chrome, if you ask me. But with Chrome a part of the app switcher, you now have to tap the app switcher button, then potentially scroll through all of your recently used apps, until you find the tab you want to go into. That seems like too many steps for something as simple as switching tabs. As I mentioned in the opening, thankfully, you can turn this integration off pretty easily. To toggle this option on or off, head into Chrome>Settings>Merge tabs and apps, and then flip the switch. Keep in mind that this is also only in Chrome Beta for now, but I would assume Google plans to add this functionality into Chrome stable before long. When that happens, I hope they add back tab functionality within the app. A combination of tabs in the app switcher and the same tab functionality we already love within the app would be awesome. Here are the rest of our Android 5.0 feature highlights.